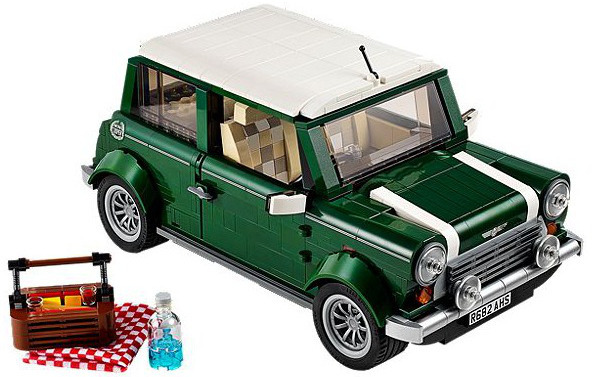 Get racing with the brand new Lego Mini Cooper! Here comes a little something special – in British Racing Green, of course! Yes, it’s the brand new Lego Mini Cooper, the sportscar of sportscars! You might not be able to afford one in real life (or fit a pram and baby seat into it, for that matter) – but there’s much more chance you’ll be able to afford one to put on a shelf or drive down the hallway. Let’s be honest, creating cars and trucks is where Lego really shines. 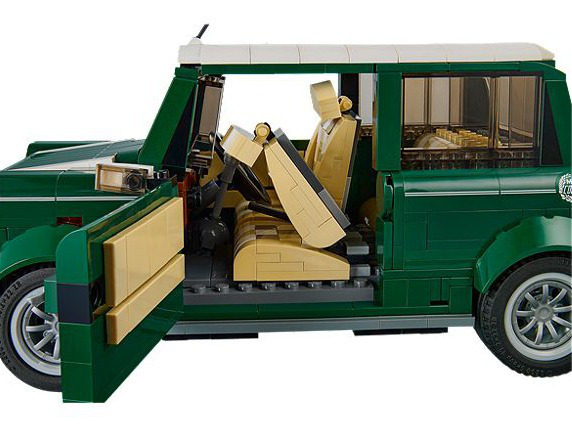 No detail has been spared in creating the Lego version of this classic car – it’s complete with racing stripes, and even a little Lego picnic set (for all the picnics you’ll be having in your pretend English countryside). 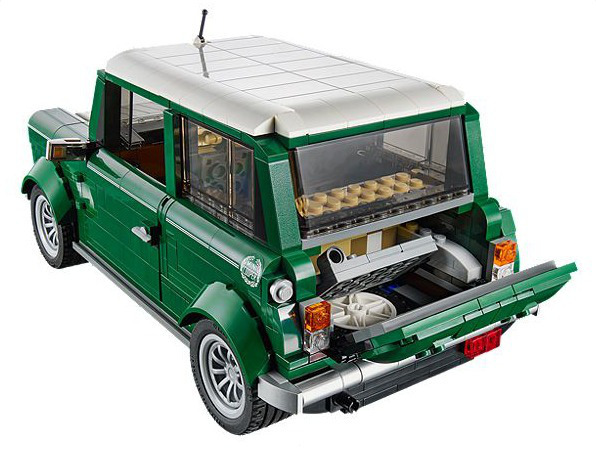 With doors, bonnet and boot that all open, and a removable top, this Lego version of the classic Mini Cooper Mk VII boasts all the little details that make Lego cars so much fun. The seats even fold forwards! You’d expect a lot of detail, of course, because this set takes up a whopping 1077 pieces of Lego, so it’s more of a parent and child build than one you’d leave a seven-year-old to tackle alone. It’s due to hit shops at the beginning of August, and you can buy it and track its progress at the Lego Shop, who are advertising it at US$99. In the meantime, why not catch up on our past posts about Lego?